A pallet is a flat structure used as a base for the automated or manual handling of goods in the supply chain. Pallets are used to store, protect and transport goods while being handled by forklifts, pallet jacks or conveyors. In addition, goods can be stored on pallets which are then placed on racking, especially in warehouses. 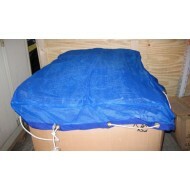 When used correctly, they are useful for bulk storage and can provide protection of goods during transit. 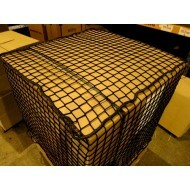 Pallet nets are ideal for use within the transport and warehouse industries. Pallet nets provide a professional packaging and wrapping solution which is ideal for use on all types of pallets, even those containing irregular or uneven loads. 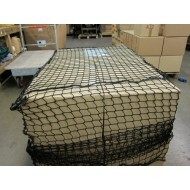 The nets can be tensioned to cover the products on the pallet and provide some stability to the load. 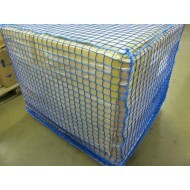 The netting also allows for even ventilation as the mesh allows for a degree of airflow. 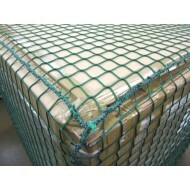 Our nets are made from high tenacity polypropylene mesh, fine mesh or webbing. 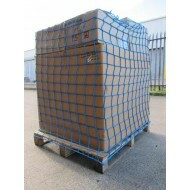 They are available in a range of colours and sizes, to fit either Euro or Standard pallets. The nets can also be custom made to suit your specific requirements, and fittings such as ratchets and cam buckles can be added to increase the tension on the net and to help secure it onto the pallet. The nets are also available in different colours, which can be used to help separate different types of products in warehouses to aid identification of goods. 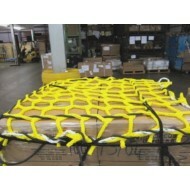 These high quality pallet nets are used in a variety of situations to help secure and contain the load whilst it is in transport or in storage. 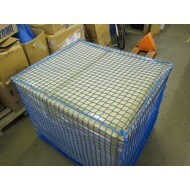 These nets are suitable for use in various industries including use by manufacturers, distributors, wholesalers, retailers, cargo transporters, and the warehouse and packaging industry. 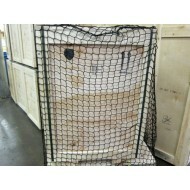 These high quality pallet nets are used in a variety of situations to help secure and contain the lo.. 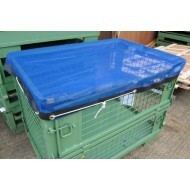 These stillage covers are made from a high quality dipped mesh material with webbing sewn around the.. 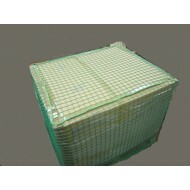 These stillage covers are made from a high quality dipped mesh material with webbing sewn aroun..